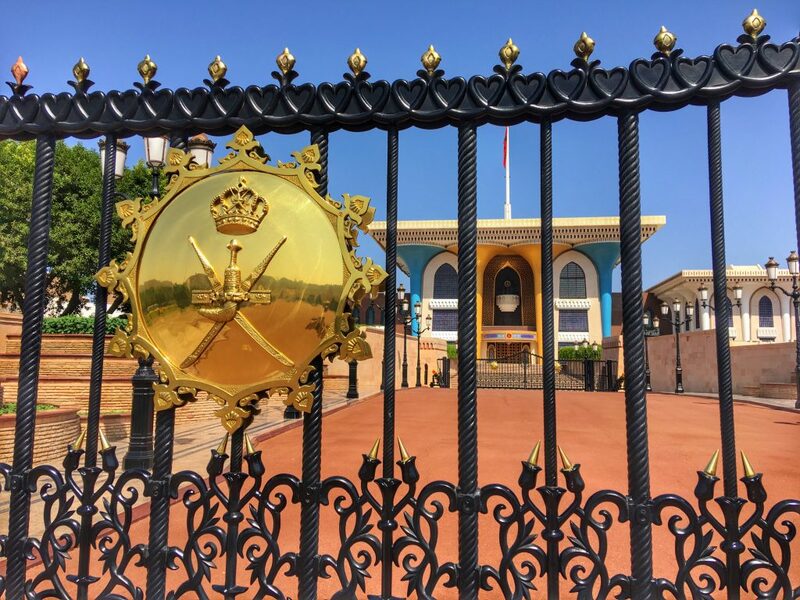 The Sultanate of Oman is a fantastic country to visit. My third trip to Oman has been absolutely wonderful. 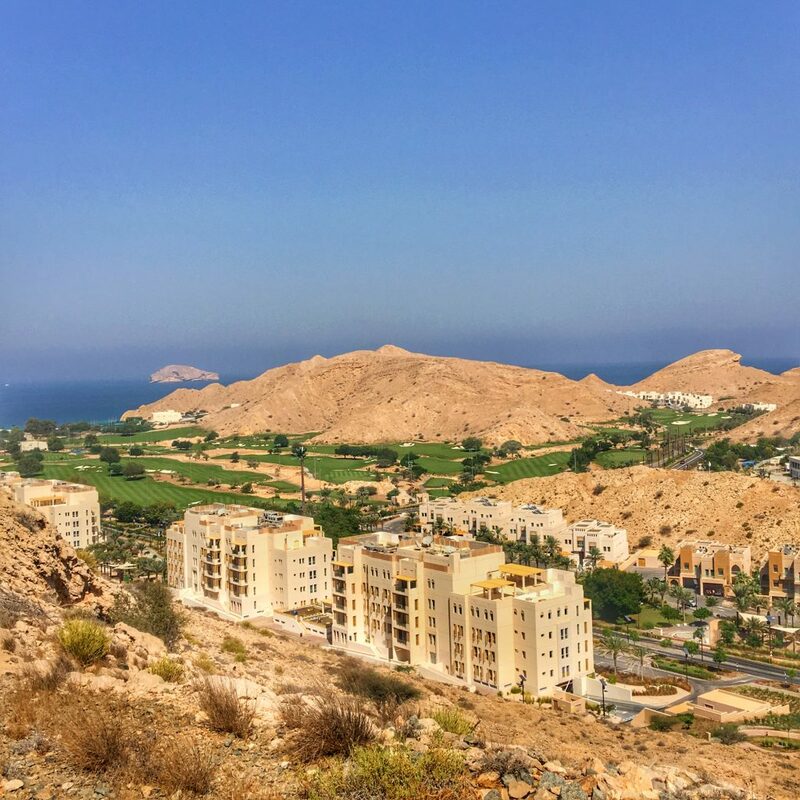 Aside from doing a 4×4 safari to Jebel Harim in the Musandam Peninsula, I revisited Muscat. It’s a city I wasn’t very fond of the first time I was there. I basically did a complete 180; which is why you should always give places you didn’t like a second chance. Muscat is a real pleasure with a lot to see and do. 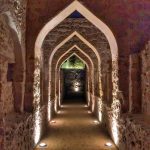 Here are 5 awesome things to do in Muscat, Oman! 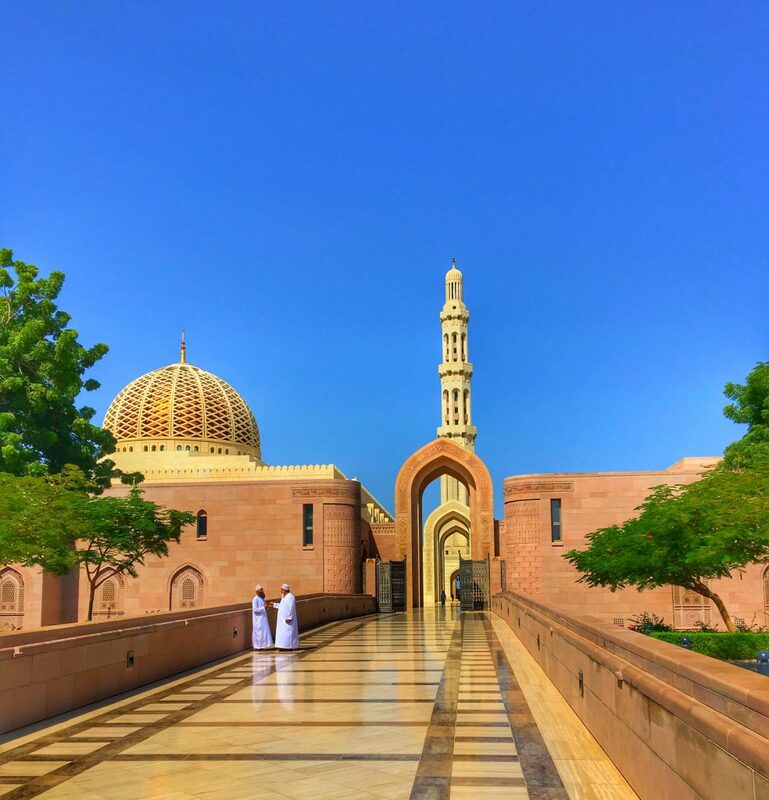 The Grand Mosque in Muscat is probably the top tourist destination in Muscat itself. 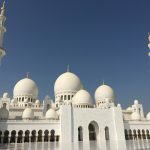 It’s a massive, beautiful mosque completed in 2002. It’s on the outskirts of the city and a taxi ride away. It’s worth noting that tourists are only allowed in from 9-11am. If you arrive afterwards, have no fear, you can still walk around the grounds and get some amazing photos and views of a real marvel. 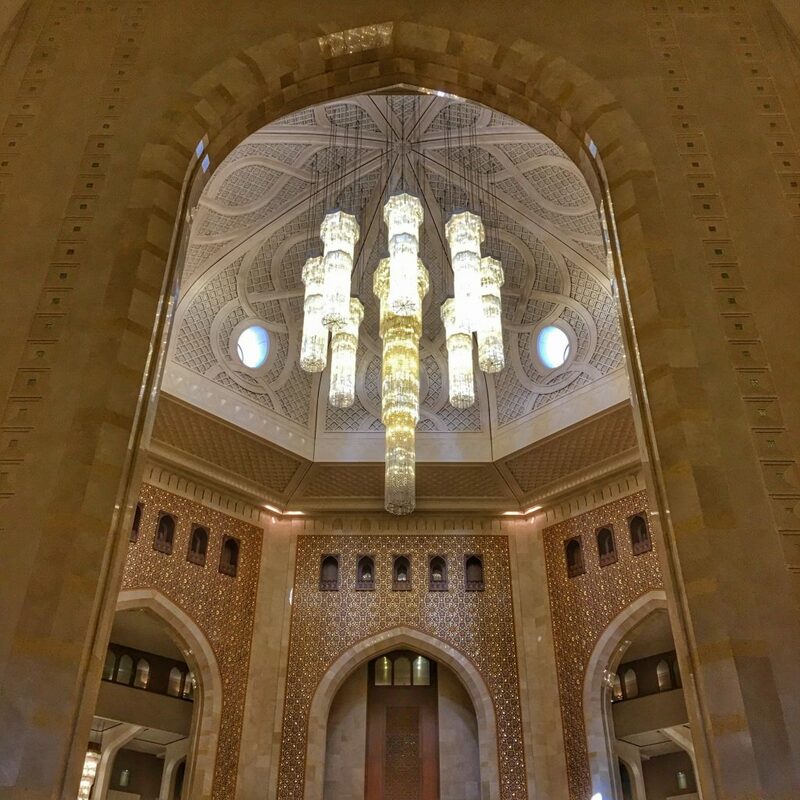 It’s reminiscent of the Grand Mosque in Abu Dhabi, just on a smaller scale and a darker color. Inside the Mosque, there is a dress code and specific area for both men and women to pray. There is an enormous carpet inside and shoes cannot be worn. 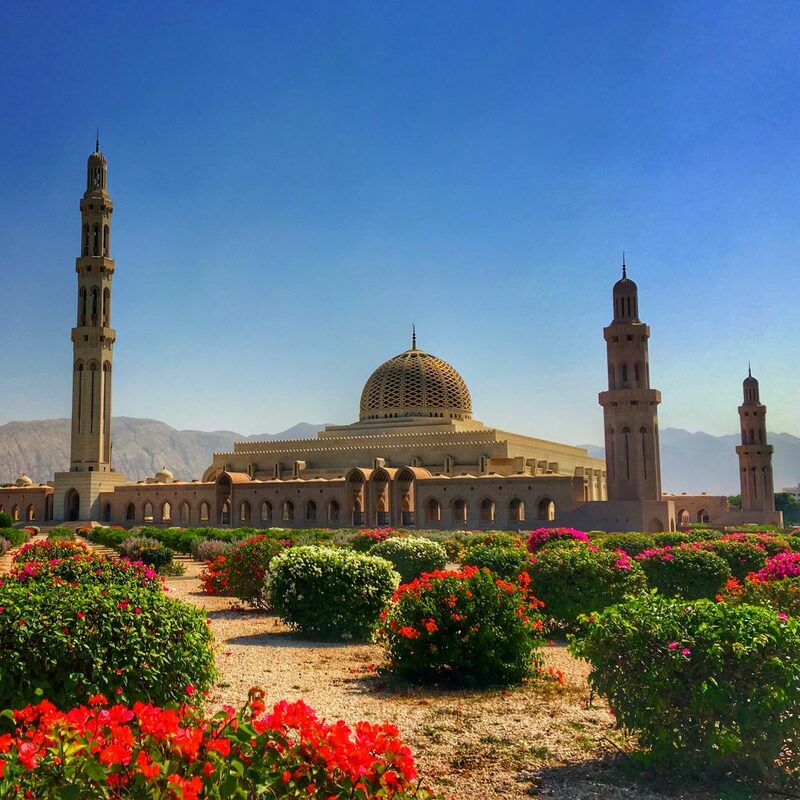 The Mosque will be a highlight of a trip to Muscat. 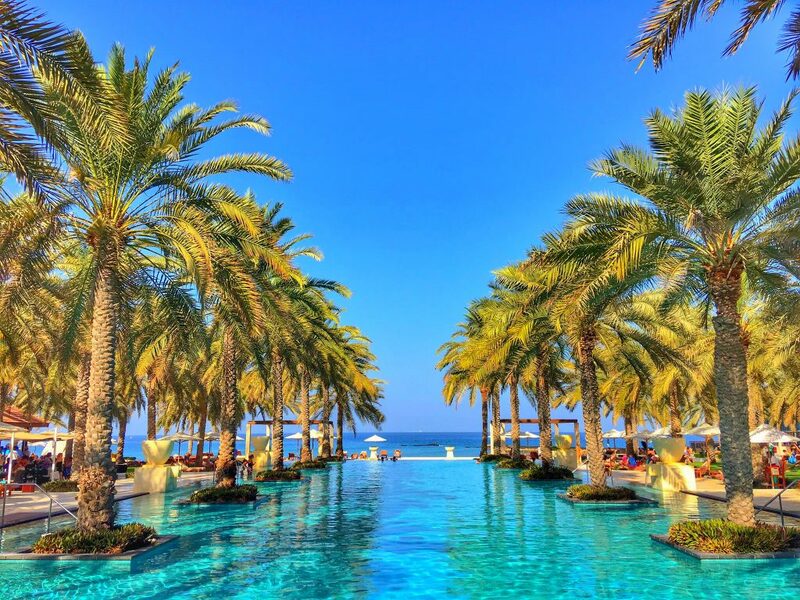 The Al Bustan Palace is a Ritz-Carlton property and has hosted some of the biggest VIP’s on Earth in the last few decades including Michael Jackson and Bill Clinton amongst many others. It’s a six star property and it literally resembles a palace in size, scale and outright beauty. 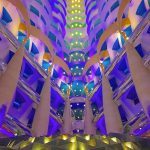 Walking into the lobby is an awesome experience where you’ll look up and down and side to side then repeat over and over again! It’s that cool and takes a few minutes to get your bearings with the size and opulence of the lobby. 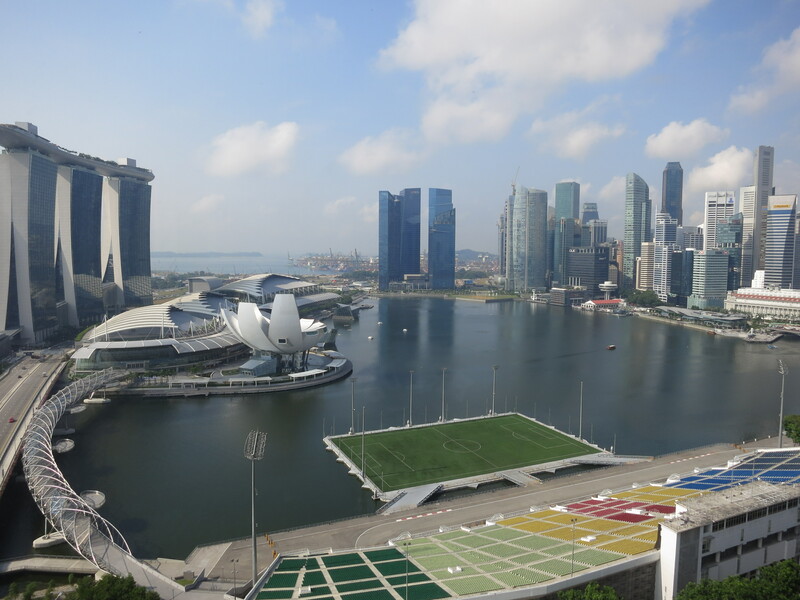 As you move downstairs and outside, you’ll see massive grounds of grass, palm trees and chairs for people to sunbathe. You’ll also notice a pool on either side of the hotel and the main pool directly in front of the hotel and the beach. 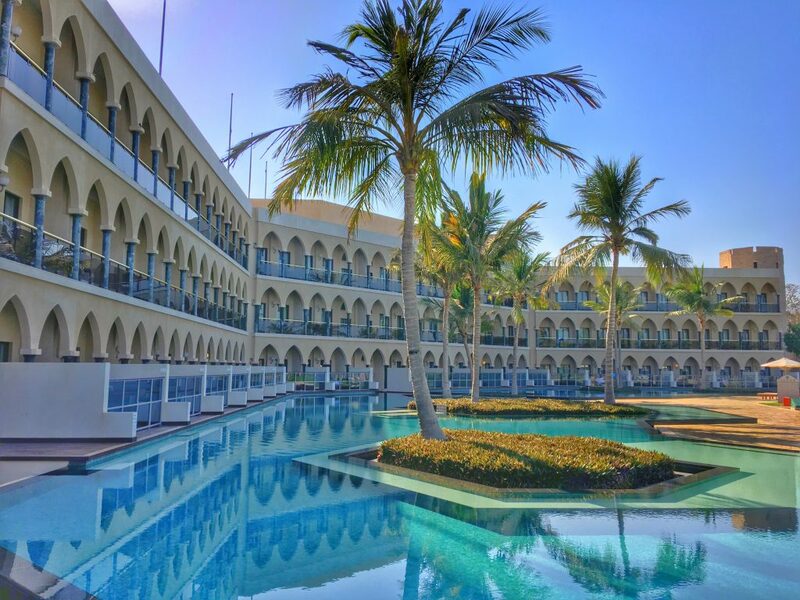 The Al Bustan Palace is stunning, it really is. I didn’t actually stay there as I was staying onboard the Azamara Journey but in Oman anyone can go into hotels without paying-unlike Dubai and other Gulf States. However, that’s where I would have stayed for sure and I’ve been told the prices aren’t that bad either-especially off-season. I hired a private driver that I found in town by where the tourist busses are. My driver, Talal, spoke excellent English and was very kind, helpful and honest. I felt very comfortable with him and we ended up keeping him for 2 full days. First he took us around Old Muscat. 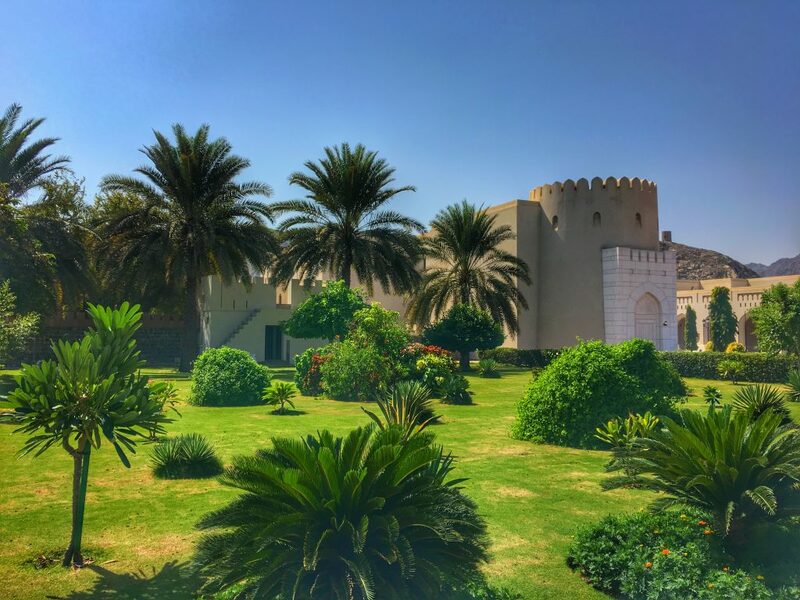 This is where many Omani’s live; it’s a bit older and is the location of the Sultan’s Palace and many ministry buildings. It’s a nice place to walk around and see some forts that are only there for decoration-literally. It’s a nice place but new Muscat is tops for me. As you drive out to the very spread out new city, you notice it feels like a suburb in Southern California. The houses are gorgeous as you approach the beach. There’s a golf course where most of the American expats live and a little further up is the public beach. The beach is the center of much of the social life in Muscat. Omani’s drive up and down the strip (where the Starbucks is) to show off a bit and take in the views. Families will picnic on the beach and young people will hang out at night. The beach itself is pretty nice, not Southern California nice, but pretty nice! The Souk is located right in the center of the Corniche in the old town, right by the port and the taxi stand. It’s a great place to walk around and do some shopping if that’s your thing. It’s not my thing but I like the frenetic energy of the hustle and bustle in the Souk. 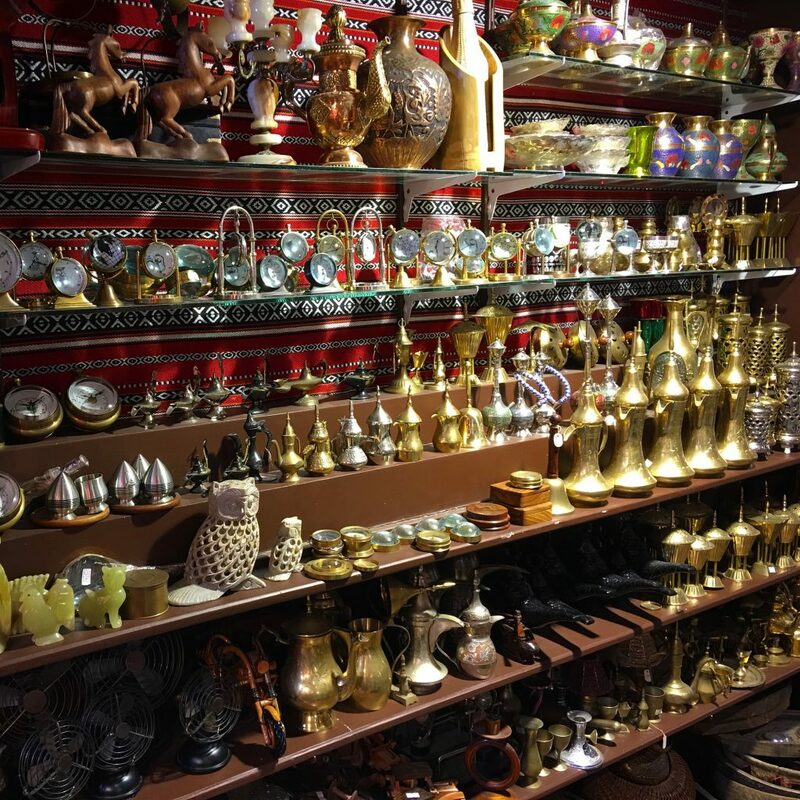 If you’ve never been to a Souk or a Bazaar in the Middle East or North Africa, they are a sight to see. The main Souk in Muscat is tame compared to the Grand Bazaar in Istanbul but you still get the gist. It’s definitely worth a look around! 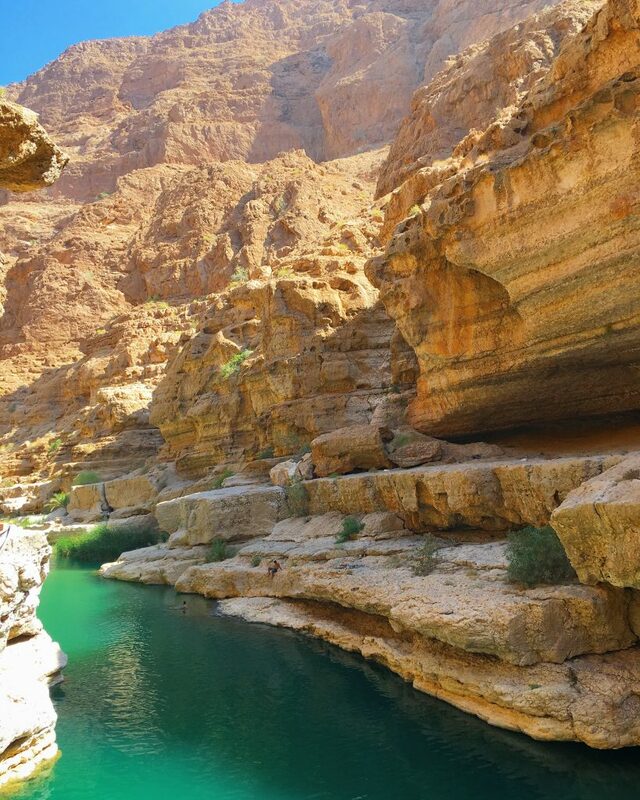 Wadi Shab was the highlight of my trip to Oman, let along Muscat. I had actually never heard of it. My driver Talal recommended it for the second day. I had asked him what was the best thing to do in the country as we had a full open second day in Muscat. He was right-it was fantastic! 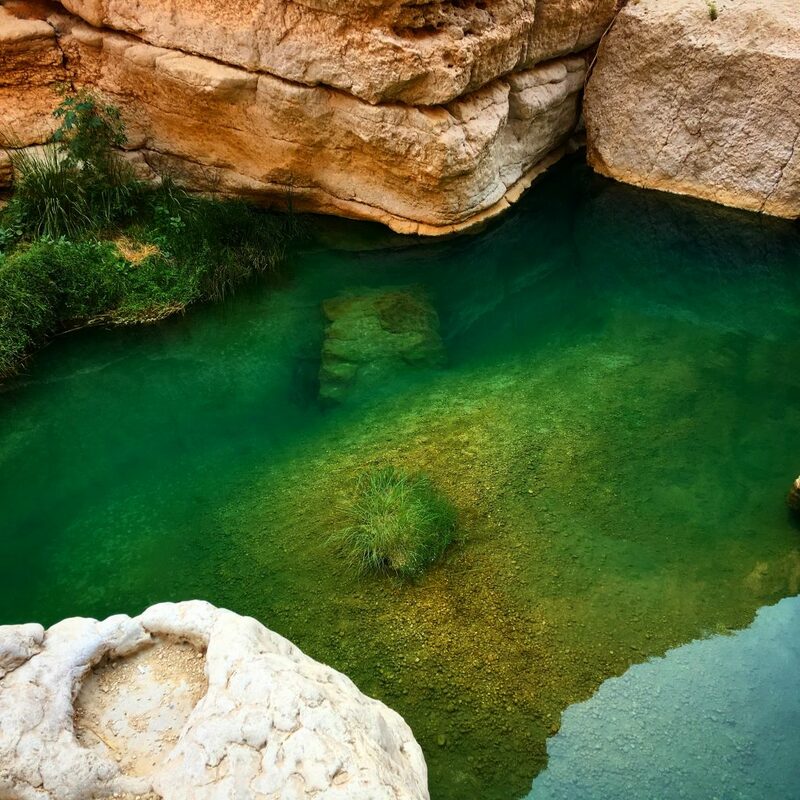 Wadi Shab is a 90-minute or so drive from Muscat along the coast and into the mountains. Then it’s a solid hour walk after a short dinghy ride to cross an inlet. The walk is hot and there is nowhere to get water or food so bring your own. 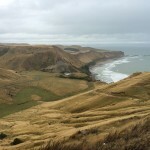 It’s also a tough walk and older people should definitely be very careful or avoid. Gorgeous mountains on each side surround you during the walk. There is a beautiful mountain river (for lack of a better word) that doesn’t flow. You kind of swim, wade, crawl, walk through it for about a mile of so until you end up inside a cave. I don’t have photos of the cave because I couldn’t bring my phone in. You have to swim in through a narrow opening in the rocks. Once inside the cave you can actually climb a rope up a small waterfall and then jump off 20-foot cliffs. It’s absolutely fantastic and a real thrill. It’s probably the coolest thing I’ve done in the Middle East in terms of nature. I highly recommend it. On the way back, make sure your driver stops at the sinkhole. If you don’t actually go swimming or cliff jumping there, take photos and watch some locals jump 80+ feet down into the emerald green waters below. 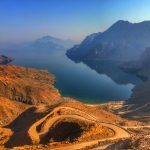 These 5 awesome things to do in Muscat, Oman will keep you busy for a few days without question. 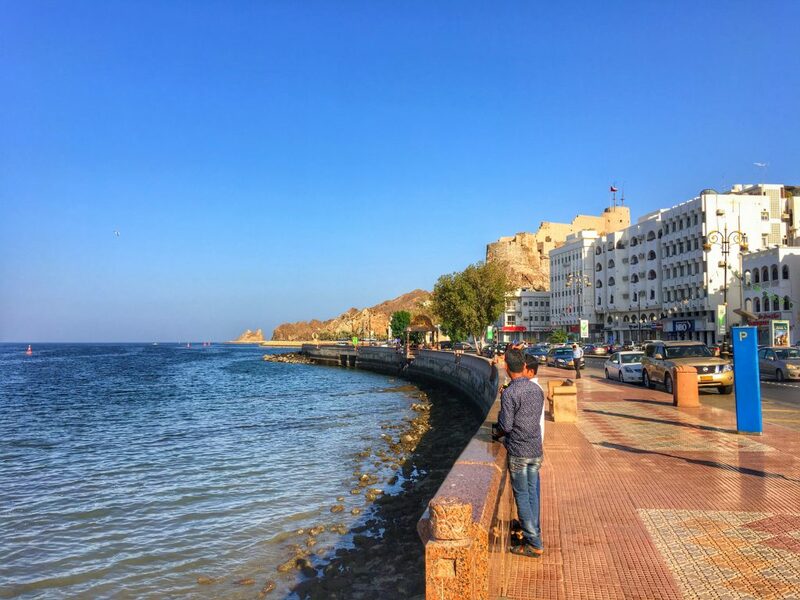 You will fall in love with Muscat and Oman in general. It has quickly moved right to the top of the list of Middle Eastern countries to me. I look forward to staying at the desert Bedouin camps next time I’m out this way! Awesome! You really can’t go wrong anywhere in that region! Great photo shoot, thanks for sharing great post. It\’s great and informative articles and you covers most of the best place but one you missed and that is NIZWA MARKET .The livestock market in the town of Nizwa takes place every Friday morning. 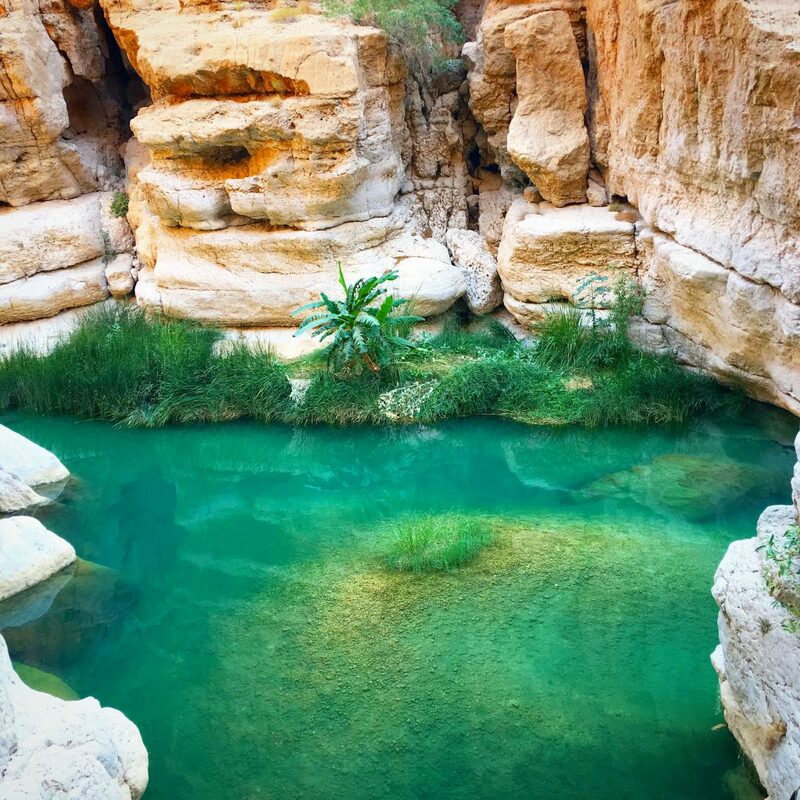 Oman has becomes to be known as one of the most popular tourist destinations in Middle East thanks to the country’s strategic location and its unspoilt natural beauty with its scenic landscape. 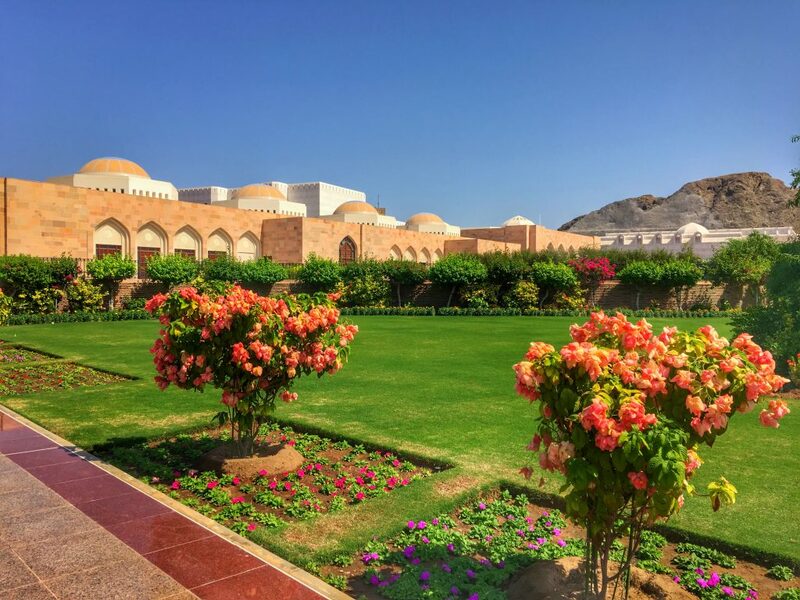 I will be in Oman next month for a weekend getaway – I am definitely going to Bustan Palace after reading your blog post. Thanks! Awesome post!Thanks for sharing! 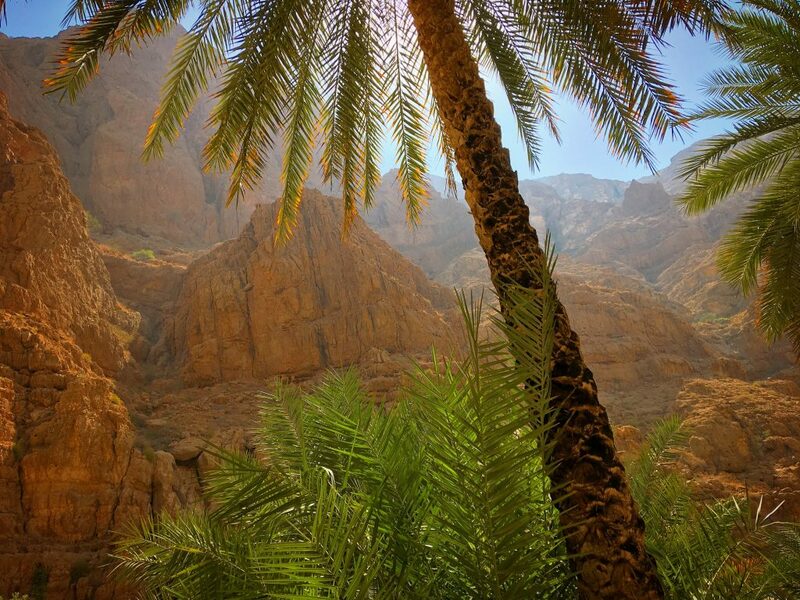 Indeed Oman is a very beautiful place and definitely a must to visit. hey where did u stay in Muscat and can I get the contact of your driver if you still have it? thanks!